Spring Essentials ~ Roses and Rain Boots . If you're anything like me, then it's always a struggle to decide what trends to try or what new pieces to add to your wardrobe for spring. In order to help me stay focused I pick a color theme and I think it's safe to say I've chosen green and blue hues. 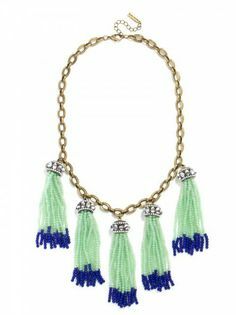 I'm definitely a pink girl but something about these bright blue and green hues having me in love #swoon. Changing your nail color is the easiest and most affordable way to instantly make your outfit more spring-like. I am a huge fan of Essie nail polish. Actually, most of my friends consider it an obsession. I have way to many colors, as part of my spring cleaning I am trying to be more selective in the colors I chose to keep and store. My favorite blues and greens for spring are: first timer, mint candy apple, and Turks and Caicos. I am obsessed with these green Ray-Bans. I was so torwn between the blue or the green but am SO happy I chose the green. They are also on so many different promos right now. I do recommend getting the polarized pair. They usually only run about $20 more and make a huge difference for actual purpose and productivity of blocking the sun. I can't wait to pair these with so many different outfits this spring and summer. 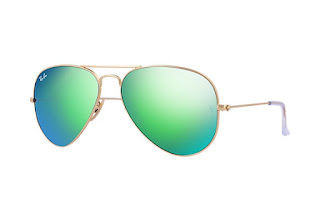 These sunnies are too cute to pass up. 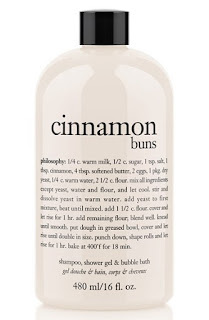 I just realized this is my first beauty product share and I couldn't have picked a better one! 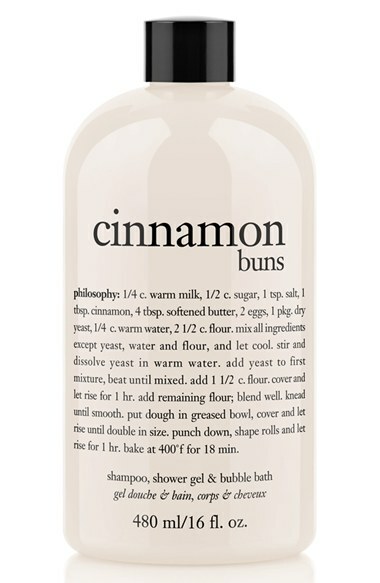 Philosophy's line of shower gel products are amazing. They are silky smooth and come in the most appealing fragrances. There is no wrong choice here. One reasons I am really excited about this skirt is that it is under $50! And you can get it for an additional 20% off right now with code: MAR16 (you're welcome). 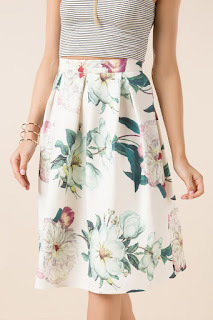 If the price isn' enough it is in my favorite new(ish) trend the Midi skirt. I wish more skirts came at affordable prices in this style. I instantly feel more chic in a midi skirt. My only request would be that the skirt have pockets, this one doesn't #spoileralert. The last reason I am super excited about this skirt is because of the colors! I was first attracted to the skirt because of the blue and green hues and then saw the pretty hints of pink throughout it, which will allow me to add some pink accessories in order to get my pink fix. This skirt is currently in the mail so you can look for different ways I style it next week! decisions, decisions. What one to get? What do y'all think? 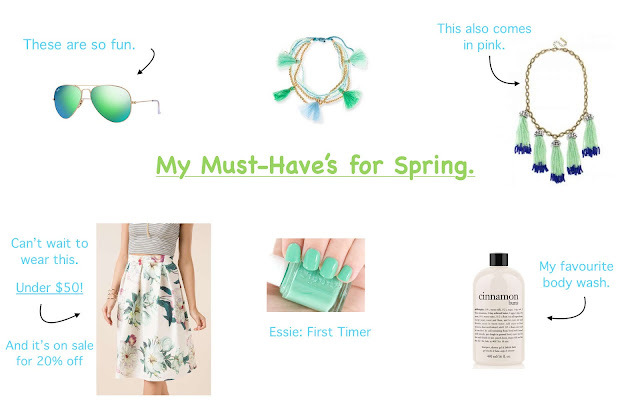 Don't forget to comment sharing what your favorite spring essentials are. Thanks for checking in for my bonus post. Shop today's post with a few other of my frequently worn spring essentials! *All images were borrowed from google.